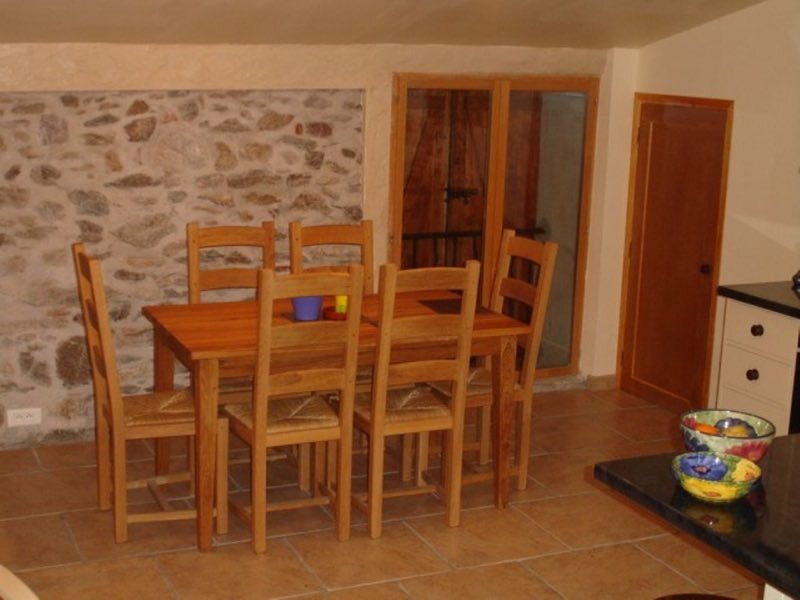 Cottage des Albères is a beautifully renovated and thoroughly modernised stone Roussillon Cottage comprising 3 bedrooms and 3 bathrooms to sleep 6 + cot. 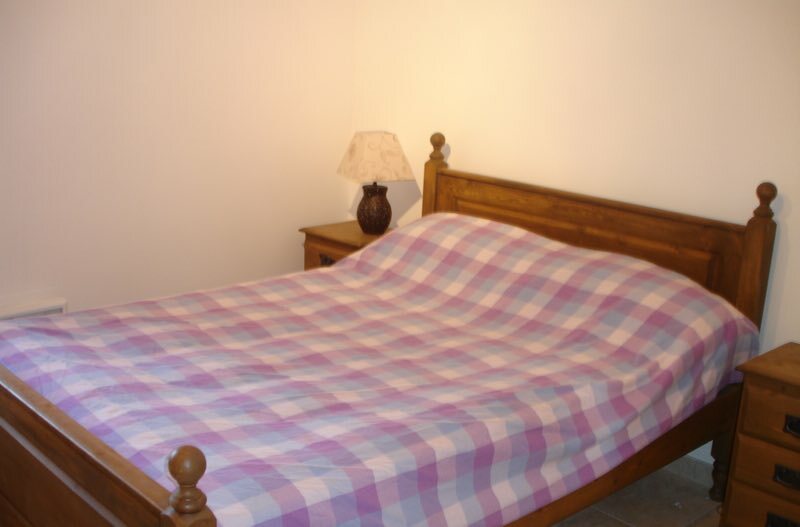 The cottage benefits from a shared garden and swimming pool (9m x 6m) or sole use when booked with the adjacent Cottage Canigou. Comprising 2 Master double bedrooms, with space for cot, complete with en-suite showers & WC’s. French windows from rear bedroom provide access to Cottage garden. Hall and staircase leading to first floor living room. Bedroom No. 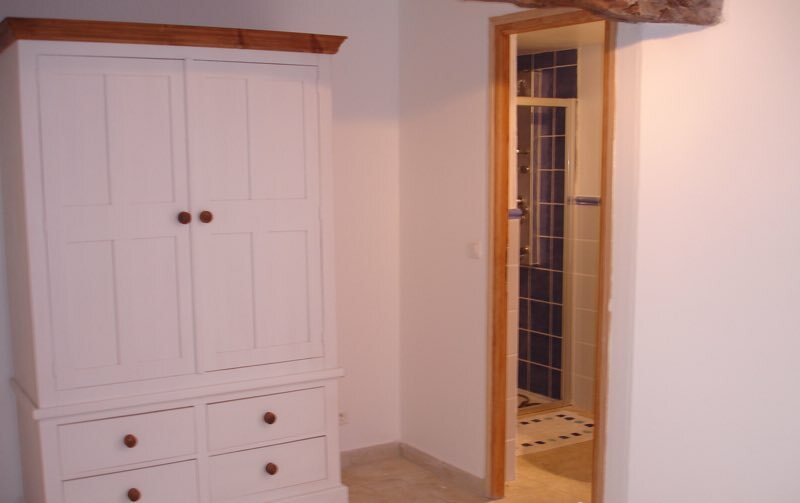 3 – twin, with adjacent bathroom & WC. 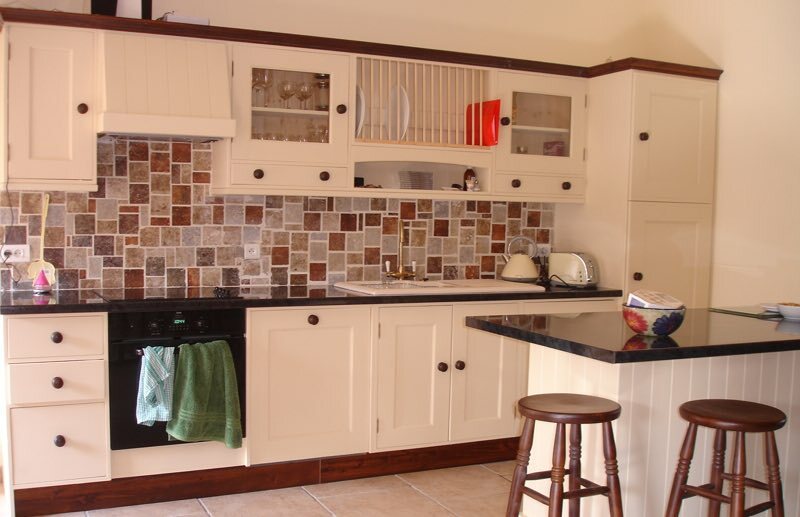 Fully fitted cottage style, designer-kitchen, with Island. Modern oven & hob and matching appliances: dishwasher, washing machine, refrigerator and microwave. Living room with dining area and lounge with flat-screen SAT TV / Skydigi. South facing views over the court-yard towards the Pyrenees foothills. Available for rental separately or rent both cottages together; ideal for 2 families or a larger group of up to 12 people (or up to 32 / 36 people - see below); each property having their own privacy & facilities, whilst sharing the 500m2 garden and swimming pool or sole use when booked with the adjacent cottage. Private patio / BBQ area for each cottage. 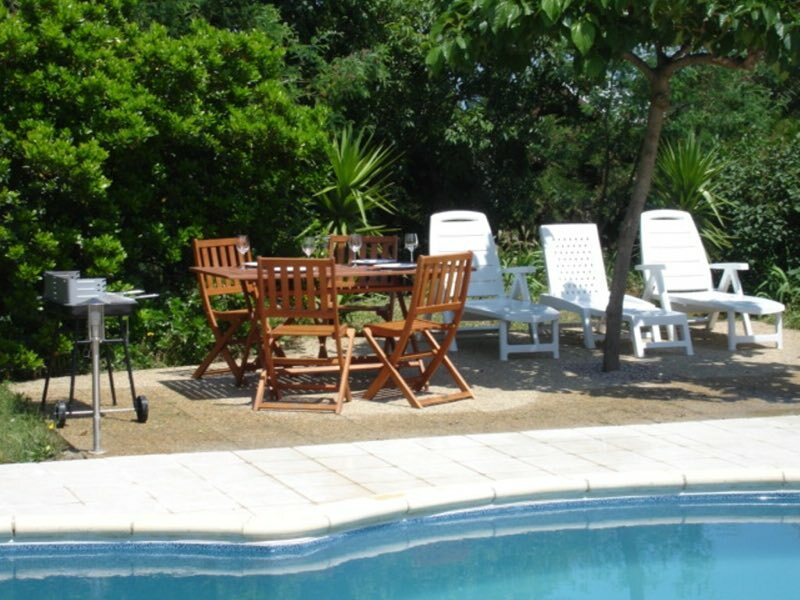 Alternatively, these two cottages can be rented in combination with Roussillon Farmhouse (sleeps 10) and / or Mas d’en Porte (sleeps 10) to accommodate to 32 / 36 people, including 3 separate swimming pools, set in a total of more than one-acre of gardens. 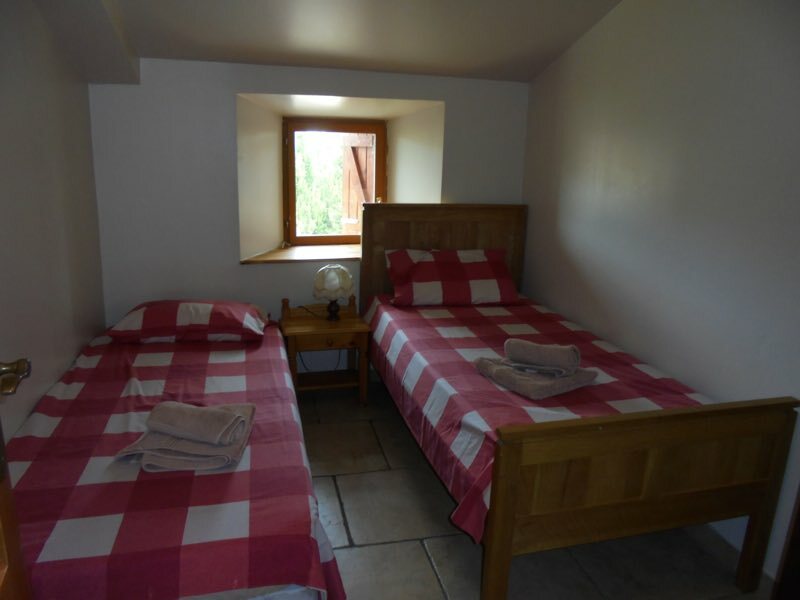 We can offer short breaks (minimum 2 nights) and year round long lets as Cottage Des Alberes is well insulated and equipped with electric heating. Please click here to see the Floor Plans, interior stairs and layout for the Cottage des Albères.